Candace H. Johnson-For Shaw Media Volunteer, Roberto Aponte, of Hebron, helps Army veteran Carol Ann Robinson, of Addison hold the Christmas mugs she picked out for her new apartment at the TLS Veterans Resource Center in McHenry. Aponte is also an Army veteran. Candace H. Johnson-For Shaw Media Army veteran, Carol Ann Robinson, picks out blankets with help from volunteer, Roberto Aponte, of Hebron, also an Army veteran, at the TLS Veterans Resource Center in McHenry. Candace H. Johnson-For Shaw Media Army veteran, Carol Ann Robinson, of Addison, picks out donated clothes with the help of volunteer, Roberto Aponte, of Hebron at the TLS Veterans Resource Center in McHenry. Aponte is also an Army veteran. 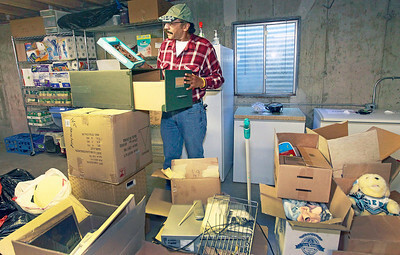 Candace H. Johnson-For Shaw Media Volunteer Roberto Aponte, of Hebron, an Army veteran, sorts through donations at the TLS Veterans Resource Center in McHenry. Candace H. Johnson-For Shaw Media Army veteran Joel Van Cleve, of Crystal Lake talks with Sean Merchant, case manager, about how much it meant to him that TLS Veterans helped him find housing and a job at the TLS Veterans Resource Center in McHenry. Van Cleve is now a volunteer at the resource center. 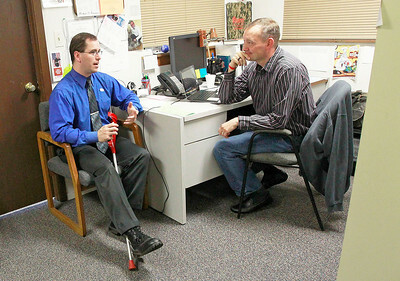 Candace H. Johnson-For Shaw Media Veteran Joel Van Cleve, of Crystal Lake talks with Sean Merchant, case manager, about how TLS Veterans helped him find housing and a job at the TLS Veterans Resource Center in McHenry. Merchant serves in the Navy Reserve. TLS Veterans has helped 45 Lake County veterans find housing and 56 veterans with employment from July 2015-July 2016. Candace H. Johnson-For Shaw Media Volunteer Joel Van Cleve, of Crystal Lake, an Army veteran, goes through donated kitchen items with Laura Franz, executive director, at the TLS Veterans Resource Center in McHenry. TLS Veterans helped Van Cleve find housing and a job. 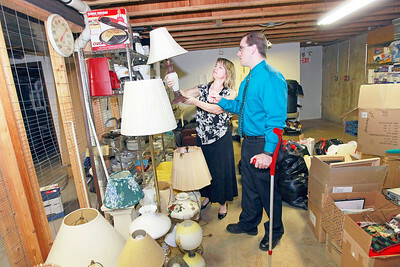 Candace H. Johnson-For Shaw Media Laura Franz, executive director, looks at donated lamps for veterans in need with volunteer, Joel Van Cleve, of Crystal Lake, at the TLS Veterans Resource Center in McHenry. Van Cleve is an Army veteran who received assistance in getting housing and a job from TLS Veterans and is now volunteering at the center. Candace H. Johnson-For Shaw Media A quote from President Harry S. Truman hangs on the wall to inspire veterans at the TLS Veterans Resource Center in McHenry. 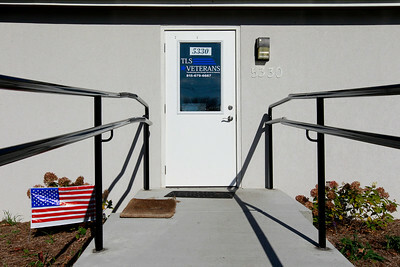 Candace H. Johnson The entrance to the TLS Veterans Resource Center in McHenry. 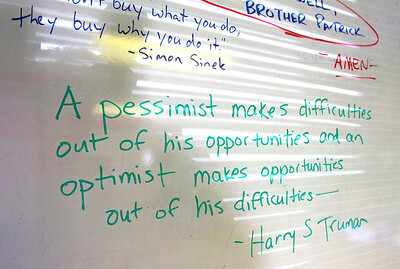 A quote from President Harry S. Truman hangs on the wall to inspire veterans at the TLS Veterans Resource Center in McHenry.